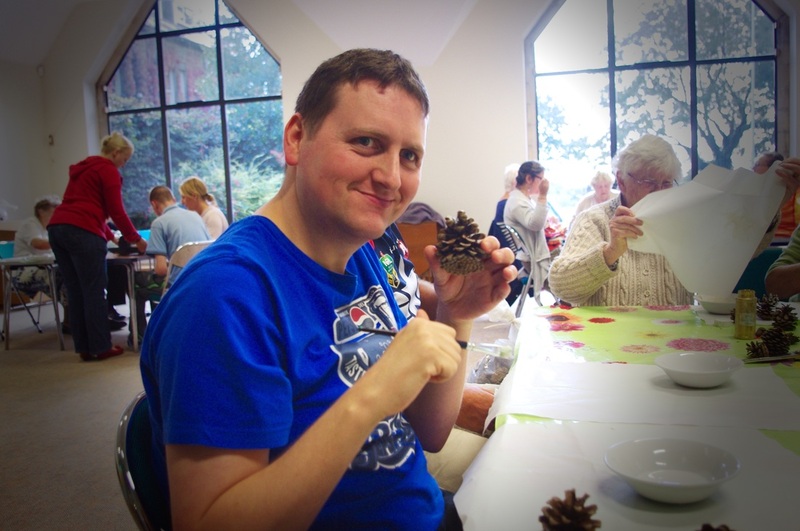 ​We run weekly craft workshop sessions for adults and children with disabilities and / or learning differences, providing a fun and caring environment in which to learn new craft skills, interact with others and work together towards a common task. These creative workshops give differently-able people, particularly those that are not accessing any other services, the opportunity to learn how to make high quality crafts using recycled materials, with an added bonus that any income raised from selling the crafts benefits disabled people living in abject poverty in the developing world. The sessions are run by Susie Hart (an artist, designer and qualified crafts instructor) and Liz Cluderay with a team of trained volunteers. The sessions are free to attend and are open to adults aged 18-75, or children aged 7-11 ( at a separate time), with physical and/or learning disabilities. Tuesdays, 1pm-3.00pm, during term time, at Bilton Health and Wellbeing Hub, 69 Bilton Lane, Harrogate, HG1 3DT . Fridays, 10.00-12.00pm, during term time at St. Margaret's church Horsforth, Leeds, LS18 5LY. Tuesdays, 4:15pm-5.15pm, during term time, at Bilton Health and Wellbeing Hub, 69 Bilton Lane, Harrogate, HG1 3DT . Therapeutic craft sessions are also now being provided for patients at the NHS Lascelles Neurology Unit in Harrogate on Tuesday mornings, and on Oakdale Ward (for stroke patients) at Harrogate hospital. 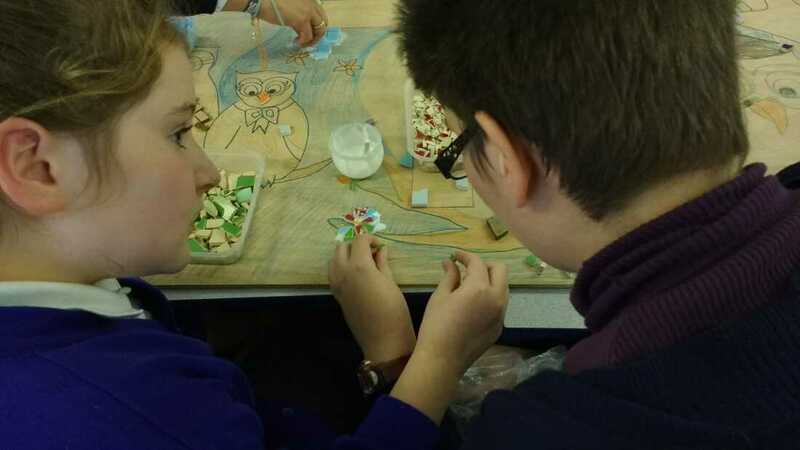 This pioneering project involves taking differently-able artisans that we have trained in to local primary schools to teach the children how to make a large mosaic for the school grounds. We already have 5 schools booked in to take part and thus far it’s been an incredible success! 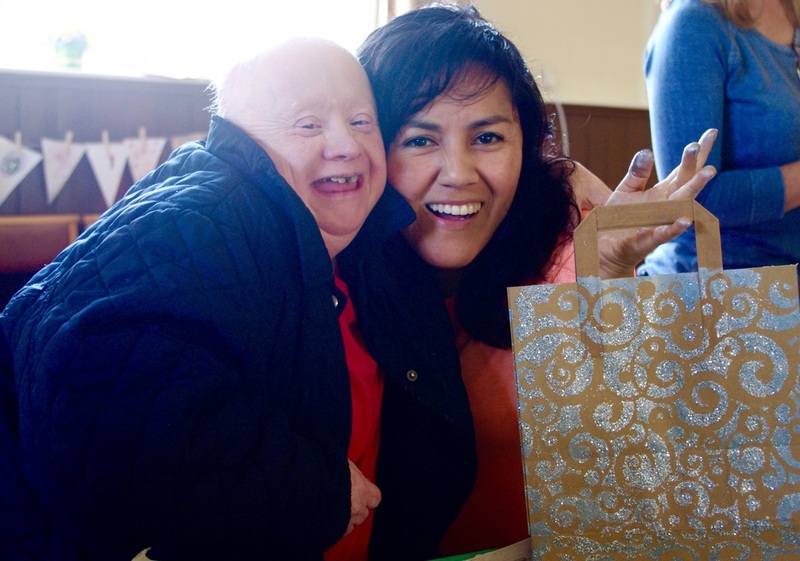 The differently-able participants are fantastic with the children and love every minute of teaching them; the pupils love the activities and really enjoy working with our disabled artisans; many lively discussions around disability are had and attitudes are transformed as a result. 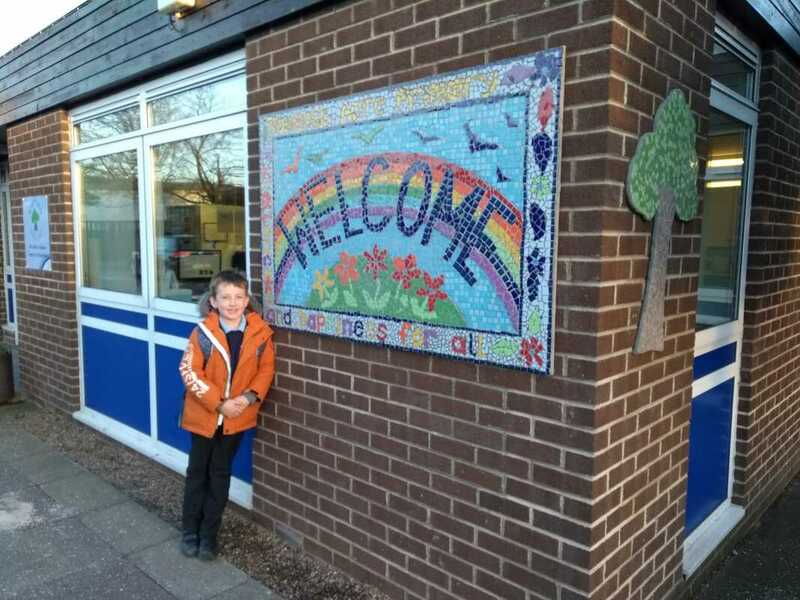 The art teacher at the first school we worked with was in joyful-tears by the end of the first session, as it had been such a positive and moving experience for all. It’s a rare opportunity for someone like Addy, pictured, to share her skills, be respected and esteemed, rather than made to feel invisible. She is loving passing on her skills that she learnt at Craft Aid International, and meanwhile the children’s eyes are being opened to the talents and abilities of ‘disabled’ people. This project is kindly supported by the Peoples Postcode Lottery, to whom we are so grateful for making it possible.